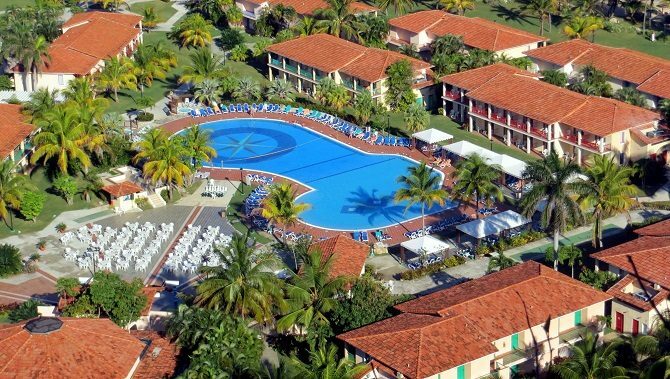 Memories Jibacoa is an Adult Only (14 years and older) 4* All Inclusive hotel located approximately 45 minutes’ drive from Old Havana or around an hour from Havana airport. 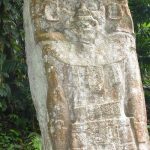 With its relative proximity to Havana, you might be forgiven for thinking that Memories Jibacoa is in a built-up area surrounded by other hotels, housing and other general development. In fact, because urban sprawl doesn’t really exist in Cuba, the area is actually surrounded by beautiful countryside and boasts one of Cuba’s most picturesque beach locations. Somewhat confusingly, while there is a Playa Jibacoa (Jibacoa beach), Memories Jibacoa is actually located a short distance away on Playa Arroyo Bermejo. 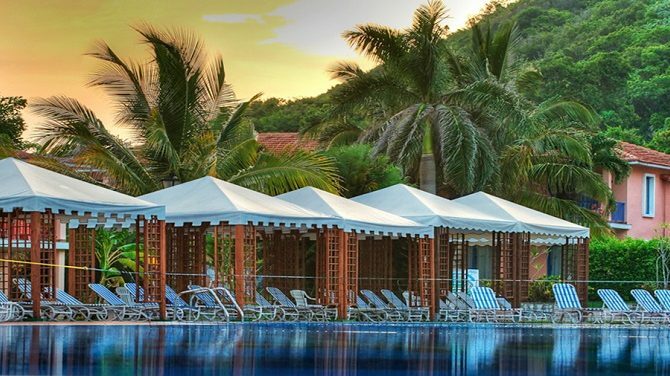 With just one other hotel on the same, beautiful sandy white beach, and backed by tree-clad hills, this is very much the picture postcard setting that visitors expect of Cuba. 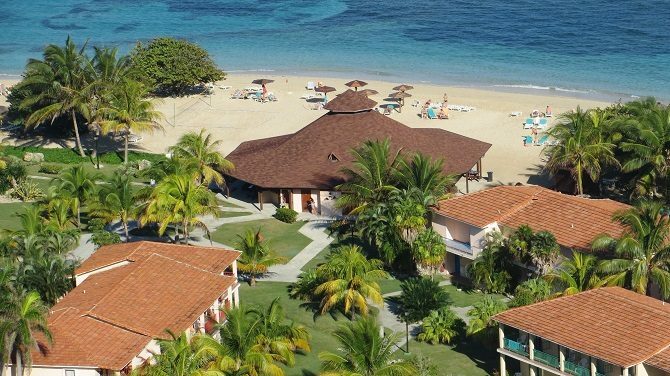 The beach isn’t especially long, and is book-ended by sharp rocks at either end, but is good for swimming and, unusually in Cuba, is one of the few resorts on the island where one can snorkel directly from the beach. Memories Jibacoa itself is a low-rise, village-style hotel with a main building housing the reception, bars, restaurants etc and a series of 2-storey blocks housing the accommodation and surrounded by attractive gardens. There are some 250 rooms in total, made up of 240 standard rooms (somewhat ambitiously described by the hotel as Junior Suites) and 10 Suites. The standard rooms are then divided into 3 different categories, Garden View, Pool View & Sea View. The Sea View rooms do offer genuine seaviews (no peering into the far distance) while the Pool View rooms, more expensive than the Garden View version, are mostly booked up by the Canadian market. Rooms are comfortable, clean and spacious but are not going to win any design awards. In terms of dining options, Memories Jibacoa has a main buffet restaurant (the nicest place to sit is on the balcony), a couple of a la carte restaurants which open for dinner only and a daytime snack bar serving light meals. The hotel also has 5 bars – Lobby, Piano Bar, Nightclub, Beach and Pool with the first, the Lobby bar, open 24 hours a day. 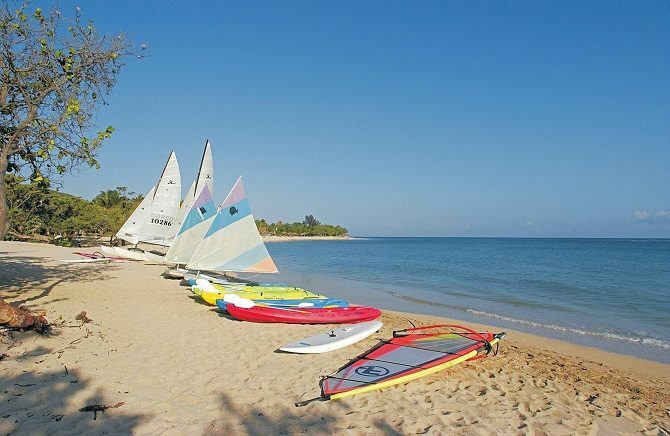 For those who don’t want to sit by the beach all day, Memories Jibacoa offers a choice of leisure activities including tennis, gym, organised team sports (volleyball etc), and a variety of non-motorised watersports (kayaks, windsurfing etc). 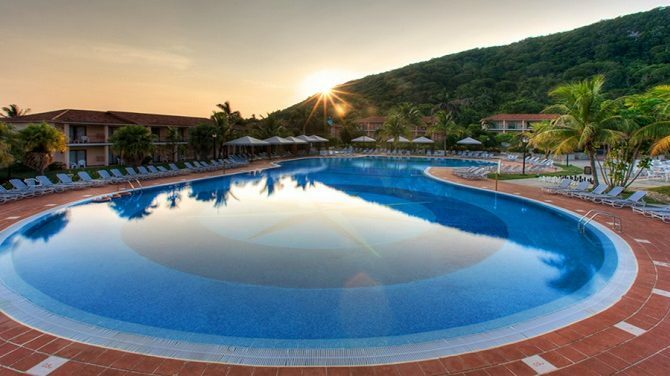 Nobody who has been to the hotel would ever describe Memories Jibacoa as being a luxurious hotel (there are numerous better beach hotels in Cuba); however, it does offer superb value for money, a beautiful setting and convenient location within easy reach of Havana. 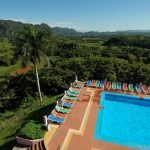 This makes it a very popular choice, especially for visitors who “don’t normally do All Inclusive hotels” as well as for those looking for just a few days R&R at the end of a tour of Cuba. As with all holidays to Cuba, Memories Jibacoa gets booked up during the high season, between November and April, so early booking is strongly recommended.